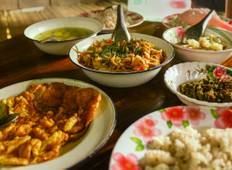 Find a culture trip that explores Indochina. There are 424 cultural tours to choose from, that range in length from 3 days up to 44 days. The most popular month for these tours is November, which has the most tour departures. "I have never met anyone so accommodating, thoughtful and kind hearted as Min. 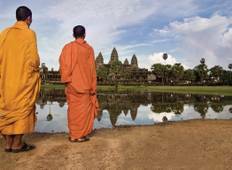 From..."
"The Cambodia express tour with Martin was sooo great!!! Martin was an excellent tour..."
"Well what an amazing 12 days that went WAY too fast!!! The tour was amazing due to..."
"Matt completely made my trip to Vietnam! Not only is he very knowledgeable about..."
"An exceptionally good tour covering the main sites (highly recommend the bolt-on..."